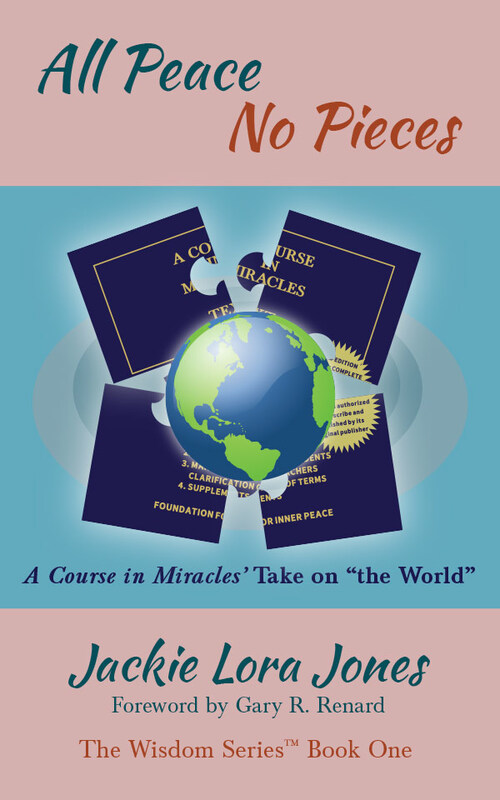 Our mission is to be a resource for all those interested in learning and applying the teachings of awakening the mind to Spirit/Perfect Oneness through true forgiveness as taught in the self-study Spiritual thought system A Course in Miracles. 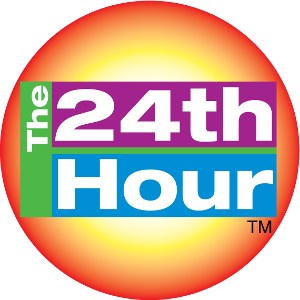 Also, for those who are interested in wonderful people who help us navigate the dream peacefully, please check out my video podcast series The 24th Hour. 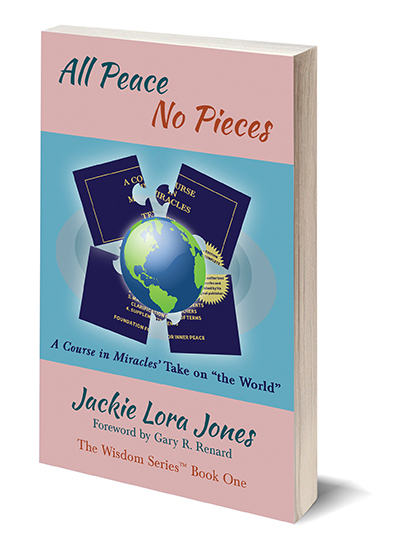 Jackie Lora Jones is a Broadcast Journalist, Certified Clinical Hypnotherapist and Spiritual Counselor. Whether through her A Course in Miracles workshops, work in the media, or in private counseling sessions, she helps people worldwide transform their lives. 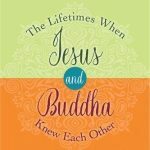 Jackie’s methods facilitate a connection to inner guidance and the higher self, which the Course terms the Holy Spirit/Jesus, enabling a more peaceful & forgiving approach to the issues and challenges of everyday life, leading to the awakened mind and return to Spirit/God/Perfect Oneness. Born in Toledo, Ohio, Jackie exhibited a keen intuitive intelligence and empathic awareness at an early age. She was often the “go to ” person for advice and insight about an issue or problem. Helping people remember their true Self, be the observer of their life, let go of fear and guilt, and forgive themselves has been her path of service to others. 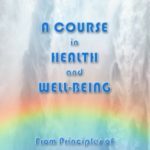 Jackie has been a student of metaphysics for nearly two decades and has fine tuned her intrinsic skills in psychotherapy and the power of the mind. Her goal is to help people awaken their minds and discover inner peace. She is the author of the newly-released book: All Peace No Peaces: A Course in Miracles‘ Take on the World. 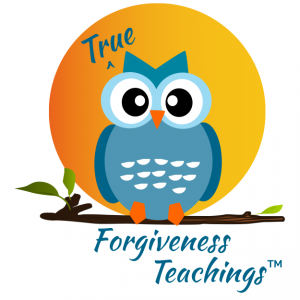 As a longtime student of A Course In Miracles Jackie encourages the practice of true forgiveness. 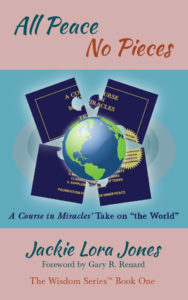 She facilitates an on-going A Course in Miracles group on Tuesdays in Los Angeles. Email : info@jackie.news with any questions. See the events page for time and location. You can learn more about Jackie’s transformational form of therapy by clicking on the counseling page. Jackie graduated from Indiana University with a B.A. in Telecommunications where her focus was broadcast journalism and psychology. She received her diploma with honors in Clinical Hypnotherapy from the Hypnosis Motivation Institute. Upon graduation she received the HMI Director’s Award for Exceptional Professional Achievement During Clinical Residency. —Mike Lemieux, author of Dude, Where’s My Jesus Fish? Corinne Zupko interviewed me on her From Anxiety to Love Podcast. C.A. 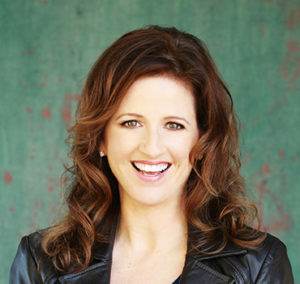 Brooks welcomes Jackie Lora Jones on her show 12Radio.